Mindfulness is a special kind of awareness: it is a moment-to-moment awareness of our experience without clinging to the judgments our mind naturally makes. It frees you to be more present in your immediate experience, so that you can wake up to the wonder of the one life you are given. In the coming weeks, we will be exploring different ways to come out of "automatic pilot" mode by paying close attention to whatever occurs in the immediate moment. 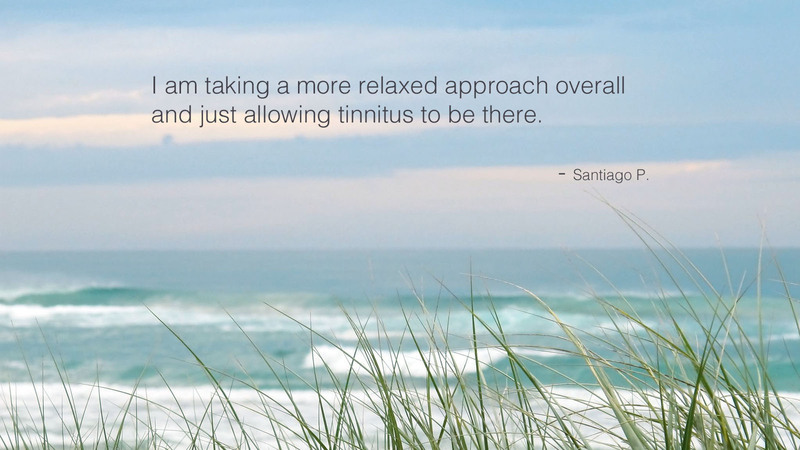 Others have found that cultivating this practice has helped reduce the negative impact of tinnitus on their lives. The more open you can be to whatever you are experiencing at any moment, the more awake, alive, happy, and balanced you can be. This is the essence of the journey we will be taking together. 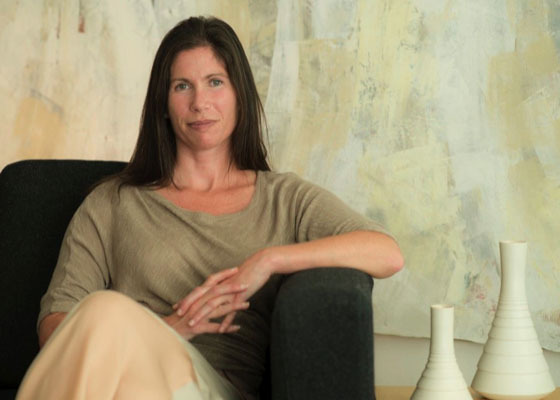 Jennifer Gans, PsyD, is a clinical psychologist specializing in the psychological impact of deafness and hearing on well-being. 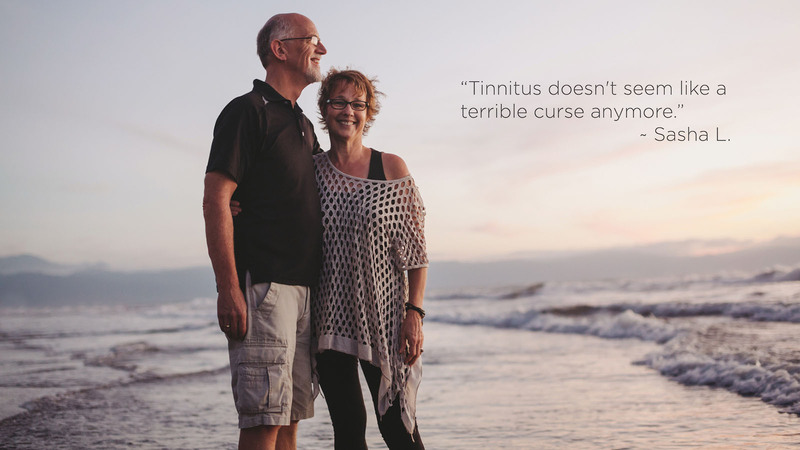 She is on the Board of Directors of the Tinnitus Practitioners Association (TPA), a non-profit professional organization dedicated to providing tinnitus and sound sensitivity care. There are elements of deep breathing, yoga, relaxation and meditation throughout the course to reframe your relationship with tinnitus. 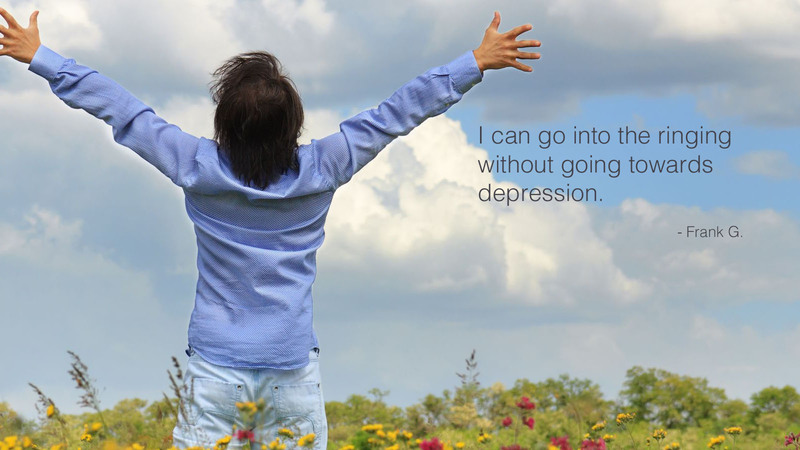 You will learn techniques that will empower you to maintain balance and comfort in your everyday life. 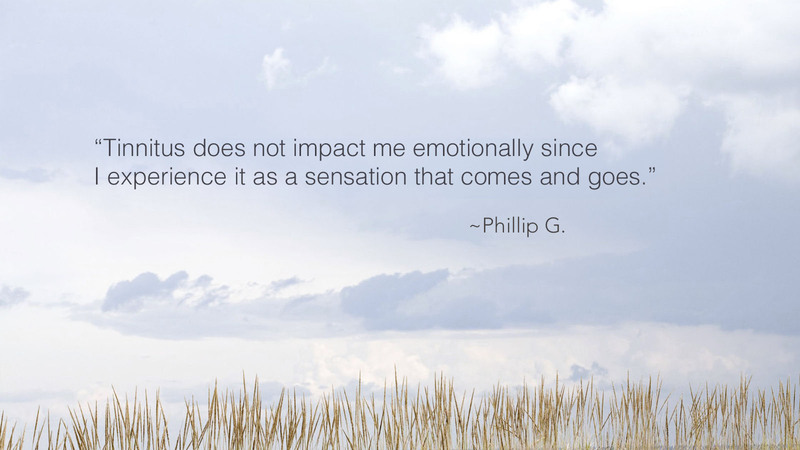 This 8-week course teaches participants to bring conscious attention to whatever happens to be in their field of awareness at any given moment. Why? Simply because it is already here – we might as well experience it. The present moment is where life actually happens. The past is already behind us, and we can only make our best guess about what might or might not happen in the future. Therefore, it is only in the present moment where we have the freedom to choose to respond in new, different, and more adaptive ways. 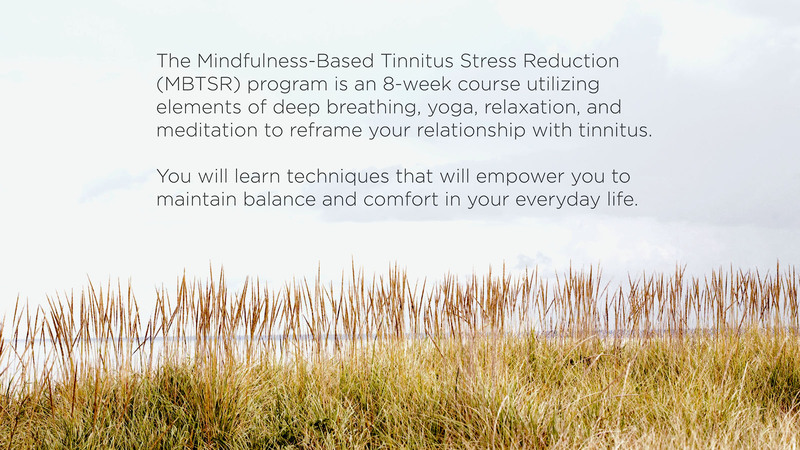 "MindfulTinnitusRelief.com gives you easy access to the MBTSR Tinnitus Relief Program in the comfort of your own home, accessible at any convenient time to fit your busy schedule, no matter what your time zone."